Before I was a starving artist, I worked in real estate administration. Although I no longer do that type of work, I do stay in touch with some of the people I met while doing it. A couple of those people have turned to the internet to drum up more business, and they asked for my help with how their site should look. I guess they figured I have an eye for what looks good in the real estate world. And they should know seeing how I made all their flyers. In my travels around the internet, in search of the perfect real estate theme, I stumbled upon the theme by StudioPress called AgentPress WordPress Theme. I soon found out that not only can you create as many pages and sub-pages as you want, you can also easily modify the theme to meet your specific needs. You can change everything from colors and fonts to images and layouts. StudioPress has a great AgentPress WordPress Theme demo that you should check out and see if you like it. 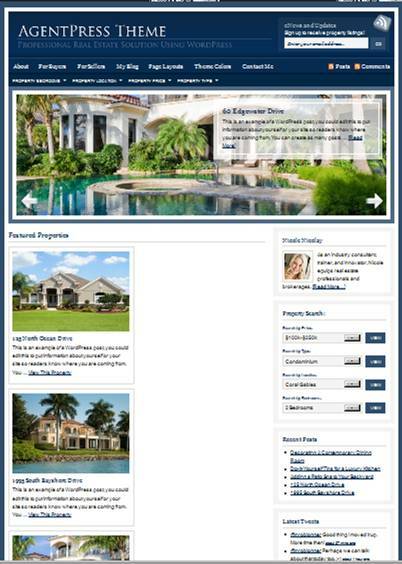 Check out how the real estate site Pleasanton Homes For Sale uses the AgentPress Theme and takes it in a different direction. The possibilities are endless! For information on the rules of removing the StudioPress copyright notice from your Agent WordPress Theme, read about it on Vacation Rental Wonderland. Once you’ve made your purchase and find that you’d really much rather have someone set up your page for you so you don’t have to, check out WordPress Setup If you need help. Their name says it all. Below is some information on the different Agent WordPress Theme packages available for purchase. -Access to any future theme updates at no additional cost. next post: Happy Halloween! Have Fun But Don’t Be A Pervy Douche. Enjoy the wordpress style you are making use of. 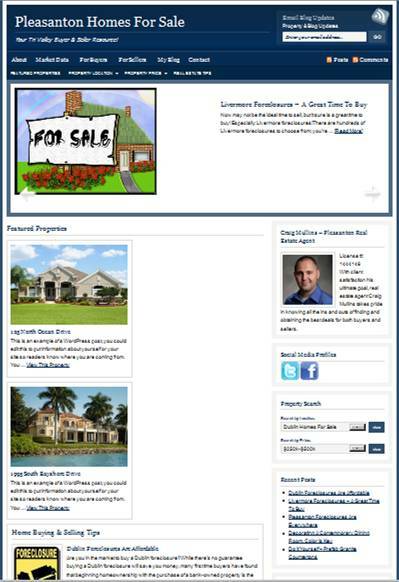 I think that I may well give Agent Press a try myself with a brand new real estate property blog. Thanks a lot for the inspiration! 53 queries in 1.273 seconds.